Boulder Oaks is ideal for weekly or monthly getaways! Each RV lot is privately owned and Boulder Oaks manages the lots. On the day of arrival, please park your RV on your reserved space and come to BC Real Estate at 1610 Nevada Hwy to check-in. 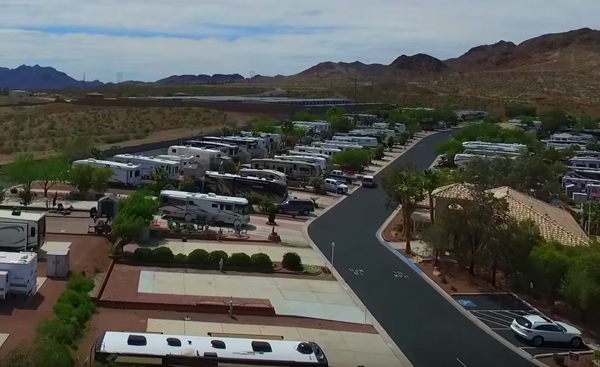 Boulder Oaks RV Resort offers the RV enthusiast a clean and quiet environment nestled in the beautiful surroundings of Boulder City, Nevada. A tranquil location with a vast variety of activities and attractions.